Carpeting remains one of the nation’s most popular ways to floor, and modern innovations have given us more functional ability than ever before. New technologies have allowed for carpeting that’s more durable, more stain-resistant, and more matt-resistant, overall, while many varieties come equipped with allergy prevention abilities, which prevents common allergens from sticking to carpet fibers, allowing for easy clean-up. Sterling Carpet One Floor & Home in Grand Forks, as the region’s most trusted provider of carpeting products and related services, has everything you could want or need when it’s time to install new carpeting. Whether your top priority is trendiness, or durability rules the day, our experienced professionals can help you navigate our collection, arriving at the perfect pick for your home or business. Fiber is the major determining factor when it comes to your new carpet’s functional skills. Also referred to as pile, carpet fiber is made using both natural and synthetic materials. Understanding your visual preferences, as well as nonnegotiable functional requirements, will help you through the process of finding a carpet that’s right for you. 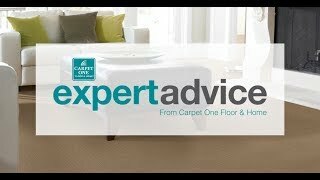 Today, there’s carpet types fit for almost any type of space, but it pays to choose carefully. For instance, your child’s bedroom or a family room might call for superior stain resistance, as well as comfort. A heavy-duty carpet is a better option for a commercial-uses space that’s constantly being walked upon. For households that include a young puppy in training, there’s waterproof carpeting. One rule of thumb to keep in mind is that carpet isn’t usually appropriate flooring for a bathroom or laundry room, due to the constant humidity. Sterling Carpet One Floor & Home is your one-stop source for all things carpeting. We’re proud to be members of Carpet One Floor & Home: the nation’s largest cooperative of independent flooring stores. Among our many exciting customer perks are our amazing buying power prices. We carry all your favorite brands, including Carpet One Floor & Home exclusive brands like Tigressa H20, as well as related products, such as carpet padding. Visit our showrooms in Grand Forks and Bemidji, ND today and experience the Carpet One difference.